Hong Kong, one of the healthiest and wealthiest places on earth, is a particularly strategic site for MBA students looking to expand their knowledge in the business of healthcare. 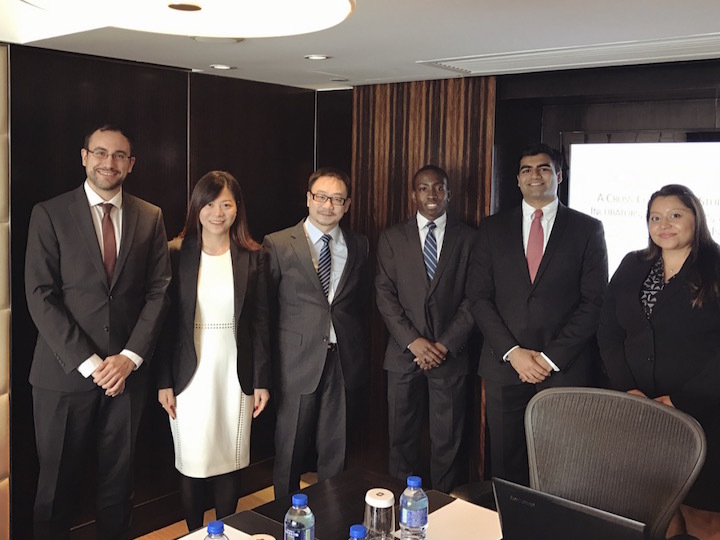 As part of the Global Business Experience (GBE), Jonathan Owhe (MBA’17) worked with four other MBA students to study the healthcare market and uncover key drivers for future healthcare innovation in Hong Kong. In recent years, growing wealth coupled with good health and an average life expectancy of over 80 years has made Hong Kong an attractive market for healthcare-related long-term investments. Despite the nation’s wealth, current healthcare spending represents only about 5 percent of China’s GDP. Compared to 17.9 percent in the United States or 11.1 percent in Germany, spending is markedly lower than Western trade partners. This spending potential, combined with changes in regulation over the healthcare sector, has created tremendous opportunities for growth and foreign direct investment. Owhe’s GBE project, which was designed to help a large and active investment hedge fund capture the dramatic growth of this Asian healthcare market, looked closely at Hong Kong-based and international startup incubators, their financial structures, and their methods. Startup incubators are programs designed to help create and grow young businesses. Private companies (or even public institutions) will invest financial and technical support into startups, hoping to grow those businesses and ultimately receive return on their investment. In the case of Owhe’s project, the goal was to identify successful healthcare incubator models and assess their applicability to the Asian healthcare market. The students’ conclusions shed light on strategic tactics to push innovative technologies through appropriate healthcare spending while at the same time identifying startups in which their client could invest. Owhe and his team found that gathering the information necessary for their analysis was more difficult than anticipated. The team’s difficulty in accessing data, especially data from private organizations, presented some hurdles for the team, but Owhe reflects that they were able to find materials for their analysis through heavy research and calls with the programs they were including in their study. Using their expertise as leverage, the team worked closely with their client to facilitate communication with key industry leaders and stakeholders. “The sort of networking that we do in the MBA program came in handy throughout our project. Our skills got us in the door, and the Georgetown credentials got us a conversation. Our counterparts in Hong Kong pointed us in the right direction, but for the most part, it was up to us to make the relationships fruitful and get what we needed for our research,” Owhe explained of his experience. When it came to the experience of working with his peers, Owhe saw the GBE as a powerful professional growth opportunity. Students are assigned to teams based on their experiences and interests, which means few students work on teams with classmates they have worked with before. For Owhe, this meant relying on the expertise of his fellow team members whenever they encountered a challenge that was unfamiliar. Owhe’s trip to Hong Kong was the first time he had worked with an overseas client. Previously a financial analyst at Morgan Stanley in New York, he is certain that this experience will have a positive impact on the management consulting career he will soon begin at Cognizant, where he will be working closely with several multinational clients.